Customized model Soft leather boots, light, always comfortable, warmth and more, with true sheep, color taupe! Options: full sheepskin lining: your foot is surrounded by fur. Non-slip pads included. Other colors, click HERE. Shipping included to mainland France. Delicious combination of textures for this boot in full grain leather and genuine sheepskin, natural colors. Optionally, you can fully stuffed the fit. Options: Fully lined in sheepskin. Non-slip pads included. Other colors, click HERE. Shipping included to mainland France. Customized model +30€ included Customized models can not be returned nor exchanges except in case of shoe size error. To custom your shoes with another color choose a standard model and customization option. Soft leather boots, light, always comfortable, warmth and more, with true sheep, color black! Other colors, click HERE. Customized model +30€ included. Customized models can not be returned nor exchanges except in case of shoe size error. To custom your shoes with another color choose a standard model and customization option. Soft leather boots, light, always comfortable, warmth and more, with true sheep, color brown! Other colors, click HERE. Soft leather boots, light, always comfortable, warmth and more, with true sheep, green olive! Non-slip pads included Option : full sheepskin lining: your foot is surrounded by fur. Other colors, click HERE. Shipping included to mainland France. 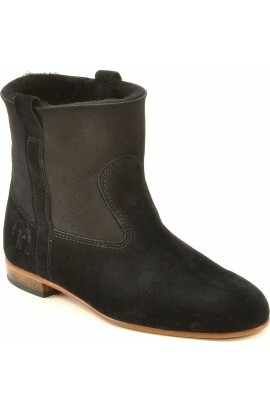 Soft leather boots, light, always comfortable, warmth and more, with true sheep dark blue! Non-slip pads included Option : full sheepskin lining: your foot is surrounded by fur. Other colors, click HERE. Shipping included to mainland France. Soft leather boots, light, always comfortable, warmth and more, with true sheep natural! Non-slip pads included Options: full sheepskin lining: your foot is surrounded by fur. Other colors, click HERE. Shipping included to mainland France. Soft leather boots, lightweight that provides immediate comfort and adding warmth, with real sheepskin fur. Optionally, you have the opportunity to ask all the fur on the inside of the boot. Non-slip pads included. Option : fully lined in sheepskin. Other colors, click HERE. Shipping included to mainland France. Customized model +30€ included. Customized models can not be returned nor exchanges except in case of shoe size error. To custom your shoes with another color choose a standard model and customization option . Soft leather boots, lightweight that provides immediate comfort and adding warmth, with real sheepskin fur. Other colors, click HERE. Customized model +30€ included. Customized models can not be returned nor exchanges except in case of shoe size error. Sublime boot in bi-material leather (full-grain and sheep) with 5cm heels. You can choose the option entirely sheepskin lined. Options: half sizes (35.5 to 42.5) and non-slip pads. Fully lined in sheepskin. Other colors, click HERE. Leather sandal with wide straps, adjustable back strap, good support of the foot. Made in Camargue (south of France, near Montpellier and Nîmes), with high quality leather. Options: beige slip pads (heel and sole of leather). Other colors on request. Shipping included to mainland France.